Ezra Levant discussed The Israeli Solution with me on his program which aired on Canada’s Sun TV lastFriday. Here’s the video. On April 6 I spoke at The Jerusalem Post’s third annual conference in New York. Here’s the video of my speech. Last week CBN aired the episode of Erick Stakelback’s excellent show on international security that features interviews with me discussing The Israeli Solution and with Minister Naftali Bennett. Enjoy! 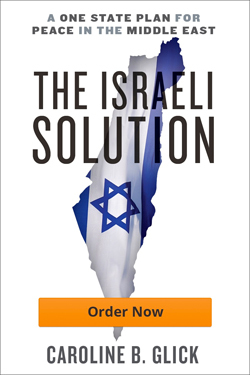 On Sunday, just before my speech at the Jerusalem Post’s conference in New York, I sat down with Shalom TV and discussed my book, The Israeli Solution.